Some amateur friends (that sounds odd, but you know what I mean!) were playing radio this weekend from the Kelvedon Hatch Secret Nuclear Bunker in Essex. 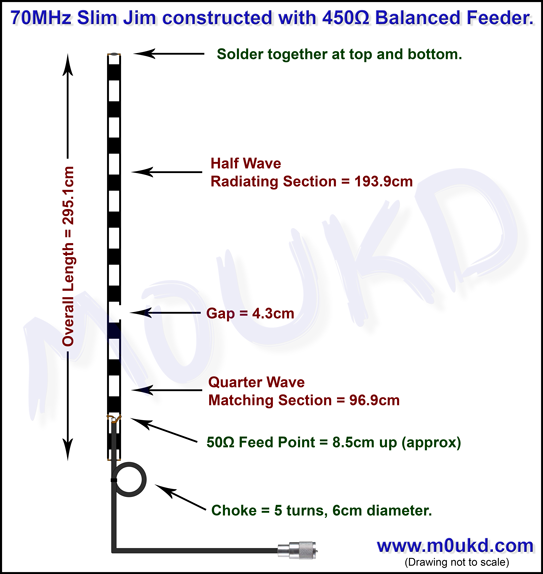 I decided on Saturday to build a 70MHz Yagi and have a go in the 70MHz Cumulatives contest. I had some spare aluminium and wanted an antenna with good performance that wasn’t too bulky and therefore easy for portable operation. I decided to build a DK7ZB design as I have had great success with them in the past. I decided on Version 1 on this page. Its a 12.5Ω design and has around 8.24dBd gain. 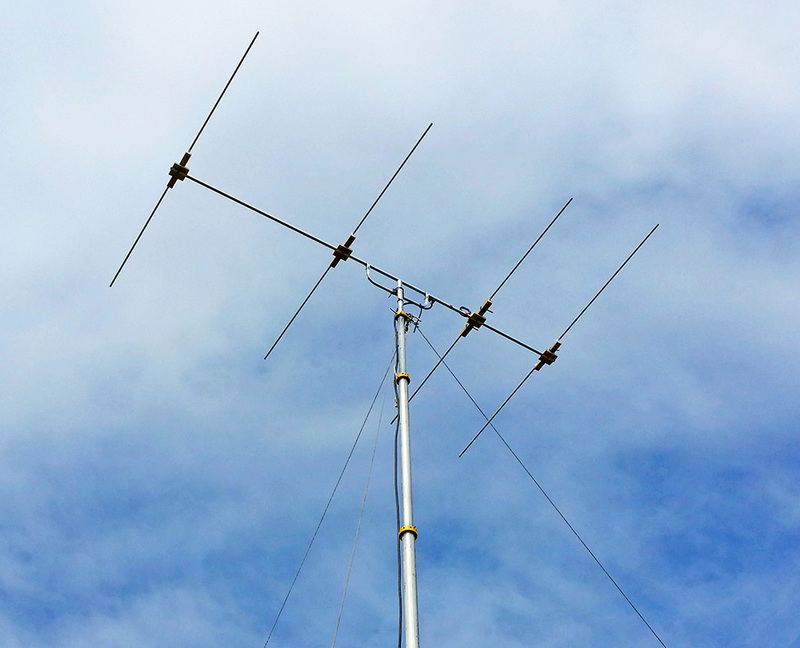 The gain vs size is excellent, matching Yagi’s almost twice the length, except this one I can fit in the car. The compromise is the narrow bandwidth, and therefore tolerances were very small and build was rather critical. 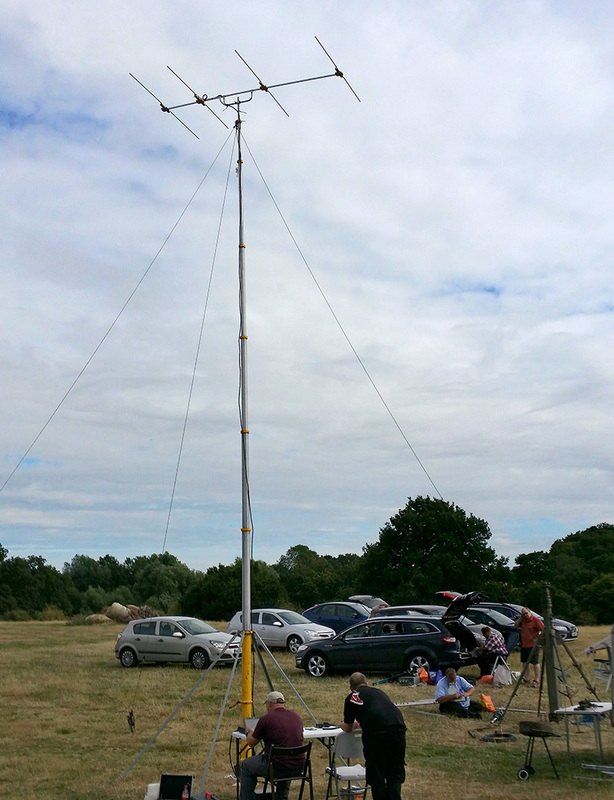 I adjusted the antenna slightly in EZNEC to suit my ½” tube. 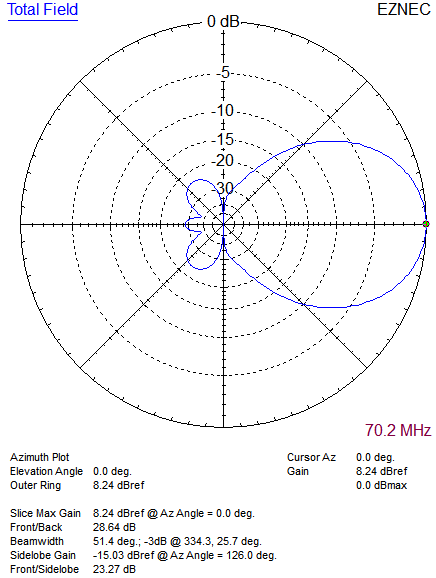 First tests with the antenna showed that it was a perfect 1.0:1 SWR at 69.5MHz and 1.7:1 at 70.2MHz. I trimmed 10mm off each element and that got it spot on 70.2MHz. We did well in the contest and a QSO map is available. 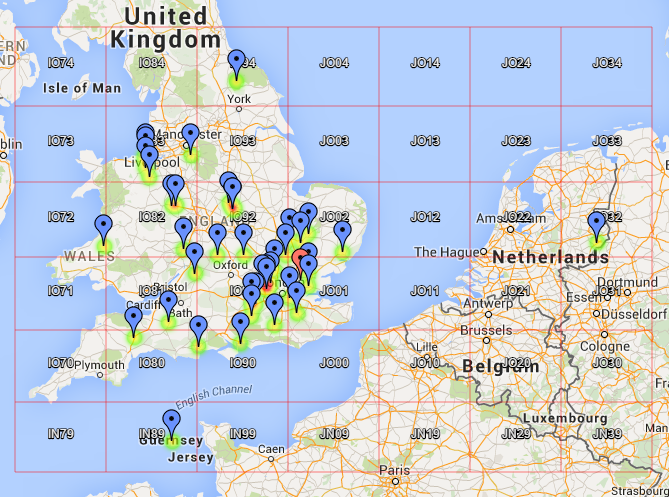 We worked 40 stations in 2 hours, which I think is good for 70MHz. 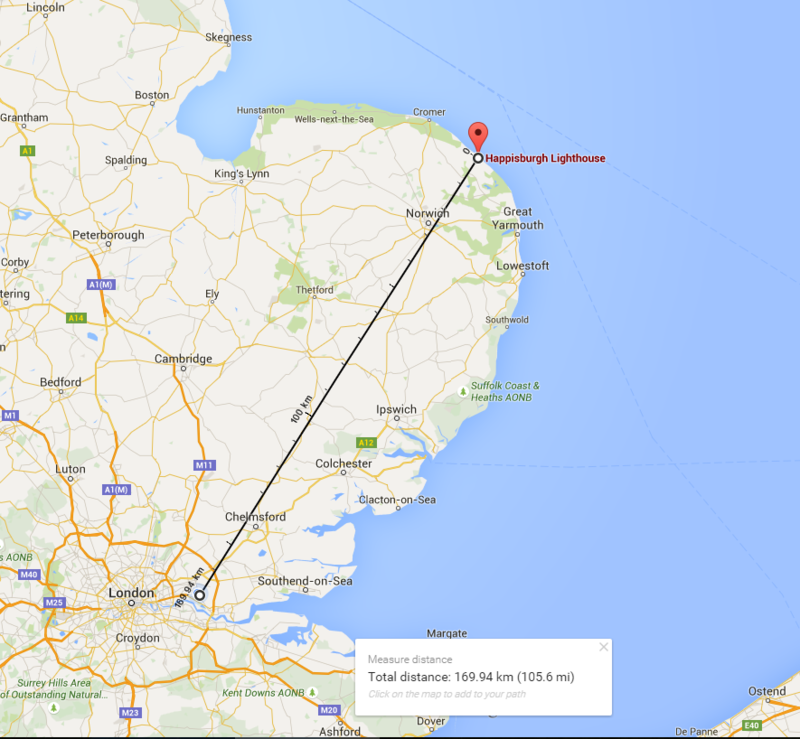 Our best DX was PA4VHF at 449km. 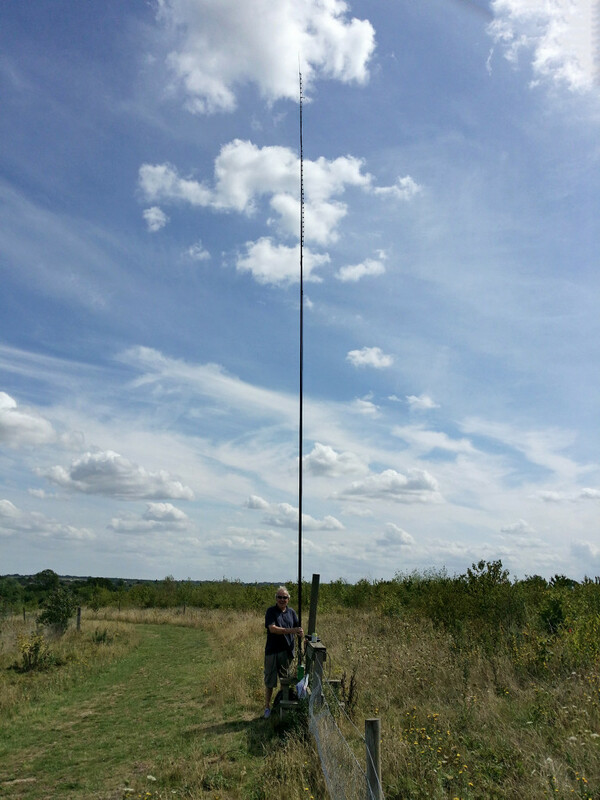 Thanks to George M1GEO for allowing me to use the site and Dave M0TAZ for the use of his mast!